Following graduation from Creighton Prep high school, Dr. Bellinghiere attended the University of Miami from 1969-1970 and Creighton University from 1971-1974, where he received his bachelor's degree. He followed in his father's footsteps and became a graduate of Creighton Dental School in 1978. Dr. Bellinghiere was one of the early dentists to be certified in the use of the PerioLase Laser for treatment of periodontal disease. He currently uses the Tek-Scan for the adjustment of occlusion (your bite) and a Diagnodent for cavity detection. 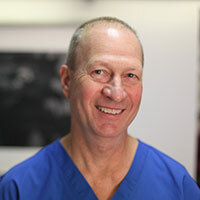 He takes pride in practicing the latest techniques and treatments to provide the best dental care possible for patients. He attends up to three times the number of continuing education courses required by the state of Nebraska for dental licensure. Technology is a very big part of Dr. Bellinghiere's practice. He has fully computerized operatories with digital x-rays that can be viewed instantly. Dr. Bellinghiere's practice has intraoral cameras in every operatory, so that he can show you any issues with your mouth up-close. This allows him to take preoperatory photos and postoperative photos that show the before and after images. You can see the work that has been completed as well as any work that is needed with color coded screens or view 3-D versions of your mouth. Dr. Bellinghiere will put you at ease with his explanations of treatments and procedures and help you in making your decisions about your dental health. His knowledge and compassion will make you confident in the care that you receive in his office. Remember, the health of your mouth can affect your entire general health! At Omaha Gentle Dentistry it is not uncommon to hear laughter throughout the office. We feel that our team is our dental family, and patients will agree that we have the friendliest staff in Omaha, NE. We are proud to introduce our team and know that you will be impressed with their gentle and professional care. Kathleen (Kathy) has worked with her husband, Dr. Bellinghiere, from the time he was in dental school through the present. She currently spends most of her time doing the administrative duties to keep the practice running smoothly. She currently does accounts receivables, accounts payable, payroll, marketing, research and development of new products used in the practice. She has directed us into going paperless and continues to move forward in keeping the office state-of-the-art. 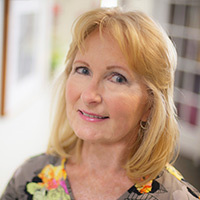 Denise joined the practice in the spring of 1986 as a dental assistant. She currently works at the front desk and does billing, appointment scheduling, and financial consulting with our patients. She enjoys all aspects of the dental practice and will also help chairside when needed. She does her best to provide our patients with the expert knowledge of the insurance industry. 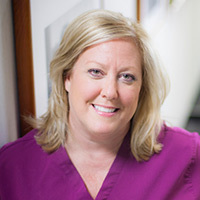 Denise remains a rock in the practice since she has been with us for so many years. Her latest nickname is "The Brain!" What more can be said? Colleen joined our practice as a front desk receptionist. She will likely be the person greeting you when you come in or answer your call. She is involved with the insurance investigation aspect of our practice, verifying your coverage and obtaining the breakdown of what your insurance coverage is and set up the appointments needed. She comes with many years of experience in dentistry and will help to coordinate the care you need and maximize your insurance benefit. 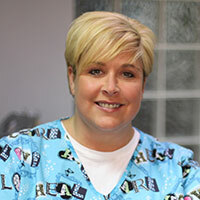 Wendy first worked for us as a dental assistant in 2003 - 2011 when her husband was transferred out of Omaha. 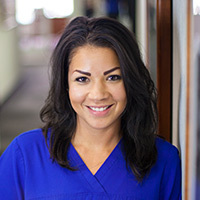 She returned to work for us in August of 2014 after living and working in Sparks, NV as a dental assistant and an instructor of dental assistant students. She came back to Omaha to be near her daughter and family. 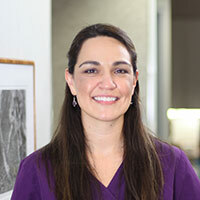 She can help you to better understand your dental needs with many years of experience and dental knowledge. Julia has been a dental assistant since 2012. Her smile and sweet sense of humor are infectious. With three young children of her own, she brings that soothing warmth to her assisting skills. She can help you to understand your treatment and she will put you at ease with her calm and compassionate care. 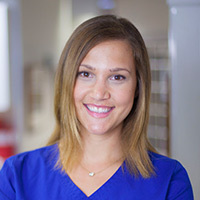 Sarah is our full-time dental hygienist and joined our practice in early 2015. Prior to attending dental hygiene school at IWCC she worked as a dental assistant. Her experience and knowledge of dentistry will guide you in choosing the best care options for your dental health. Her gentle touch and calm demeanor will make your experience the best.